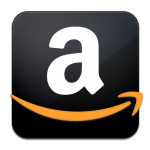 My Rating:My rating is 4 out of 5 stars. For all of you familiar with The Riyria Revelations series, Hadrian Blackwater and Royce Melborn are the dynamic duo of fantasy: Hadrian the great warrior with three swords for any occasion and Royce the dark, mysterious assassin waiting to put a dagger in you. Two partners who are polar opposites in their personality, outlook on life as well as in their fighting styles. No matter their differences, however, these two characters are the most dedicated of partners and friends. But how could they have ever gotten past these issues to form a partnership called Riyria? 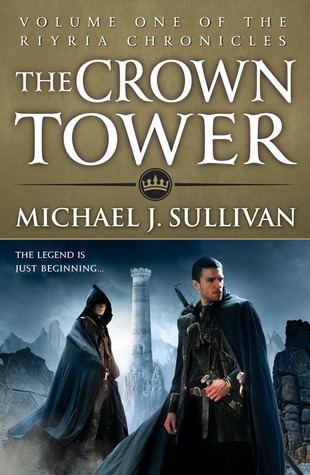 This is the story Michael J. Sullivan sets out to tell in The Crown Tower, and he accomplishes it with a flair long time readers have come to expect from him. The tale he pens is one of those very rare prequels: a stand alone story which – while tipping its hat so subtly to the older novels – never fails to understand it is a story unto itself. Indeed, Hadrian, Royce and Gwen grabbed the readers attention from the first, drawing them along involuntarily in the turbulence of their story as all three are inevitably drawn together. Naturally, our story takes place before the events of The Theft of Swords, which is the first set of books set in the world of Riyria. Here, Hadrian Blackwater is a young man, still holding onto his youthful naivety yet having seen and done bloody deeds that even he refuses to recall. Our youthful optimist has wandered over half the world since he left his father’s blacksmith shop as a youth, eager to find glory and a worthy cause that his legendary sword skills could be used for, yet none of the glory or gold satisfied Hadrian: they made him feel hollow inside actually. When word of his father’s death reaches him, it is the final straw that breaks Hadrian’s stubborn pride, and he finds himself drawn back to his roots, hoping to find some epiphany about his future: a sign as to what he should do with the remainder of his life – and with his only skill: killing people. That is where Royce comes in. I cannot tell you how these two meet without giving away spoilers and ruining the surprise, but suffice it to say that Mr. Sullivan crafts this in the perfect way. A set up which not only enlivens what had been a slow story to that point, but also forces our dynamic duo to interact with one another for all our entertainment. Naturally, after meeting and attempting to clear up their differences, Hadrian and Royce find themselves drawn together whether they like it or not. Their mutual goal to plan and conduct a heist that is so impossible that no one has ever tried it! And that is absolutely insane for two strangers such as them to attempt – especially since they absolutely despise one another! I know the fact Hadrian and Royce hate one another came as no surprise to anyone right? Who did not see that coming? And we cannot forget Gwen, the mysterious brothel owner, who gradually plays a bigger and bigger role in Revelations. Here we get to understand her life up until she met Hadrian and Royce, how she became a prostitute, and the role she played in Hadrian and Royce actually becoming Riyria. While I can’t say Gwen’s story broke new ground in storytelling, it was well written, eye-opening, and added another layer to this elegant lady who always brightened the pages with her appearance in Revelations. For those reasons, it was a very enjoyable part of the overall prequel. As long time readers already know, Mr. Sullivan has that innate ability to create a page-turner, and The Crown Tower is no different. It is a great read for those who have experienced the wonderful Riyria Revelations and those who have not. The novel has it all: excitement, hilarity, mystery, fighting, and romance. What else could anyone ask for out of a fantasy novel? Nothing. So just go buy the book already, you know you want to. I received this book as an ARC from Orbit and Netgalley in return for an honest review. The review you have read is my opinion, and mine alone. Royce and Hadrian have not visited me and attempted to bribe or beat me into writing this. And if they had, I doubt I could really mention it so . . .forget I said anything. *Whispering* Royce hears everything. This entry was posted in 4 Stars, Fantasy, Swashbuckling and tagged Book, butch cassidy, dynamic duo, Gwen, Hadrian, Michael J. Sullivan, Riyria, Riyria Revelations, Royce, Sullivan, sundance kid. Bookmark the permalink.